If you are currently organising a business dinner, awards evening, product launch or opening new premises, David Fox will ensure that your special event is a massive success. 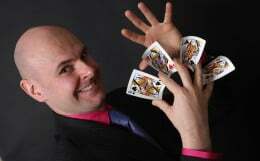 With over a decade of experience performing at a range of venues, David will ensure that his special brand of magic is fed into your schedule in a highly professional manner. 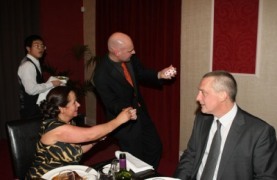 Whether it is 'mix-and-mingle' magic during a drinks reception or David's incredible stage show of illusion, your clients, colleagues and potential customers will all be suitably impressed. 1. Boost your image, brand, product and service with such a spectacular performer present. 2. Potential clients will certainly hold you in very high esteem. Get them talking about you in a positive manner. 3. A fully customised package will be created for your event. David's meticulous planning, preparation and delivery are truly second-to-none. 4. Hire the best whilst balancing your event budget. David is extremely loyal to local businesses and provides excellent value. 5. 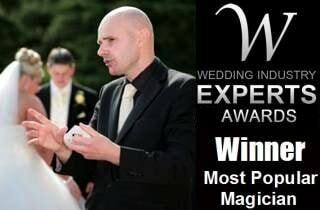 Launch your special event with the full confidence that your entertainer David Fox will deliver a world-class performance of magic.